The @Box is a Rocrail Service to manage documents. Each category will be placed in its own sub directory in the @Box path. 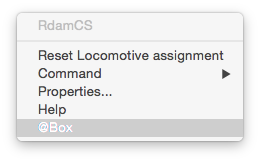 Without a valid support key the @Box will be readonly. After a restart this service will be available. If the @Box path is set to a NAS or a service like Dropbox, it can be used on any computer which has access to it. In this case file links should be omitted. All text fields which are marked with a @ can open the @Box dialog by a single click on its label if the text field contains any contents. In this example the ID, Code, Roadname and Owner fields are supported. Find all files which match the entered text. In this case the Text must contain "car", "DB" and "stock". In this case the Text must contain ether "car" or "DB". Find the text with a WEB search engine. The search engine can be changed in the Rocview properties. The default is Google. Existing categories are listed in the combo box. If a new category is wanted the name can be entered in this field. With blancs separated key words. Select a file or paste a WEB link to be add to the @Box. This option will only archive a link to the file. The link will only be valid for the Rocview Client which uploaded it. Not using this option will upload the file to the Rocrail server and makes the file available for all clients. 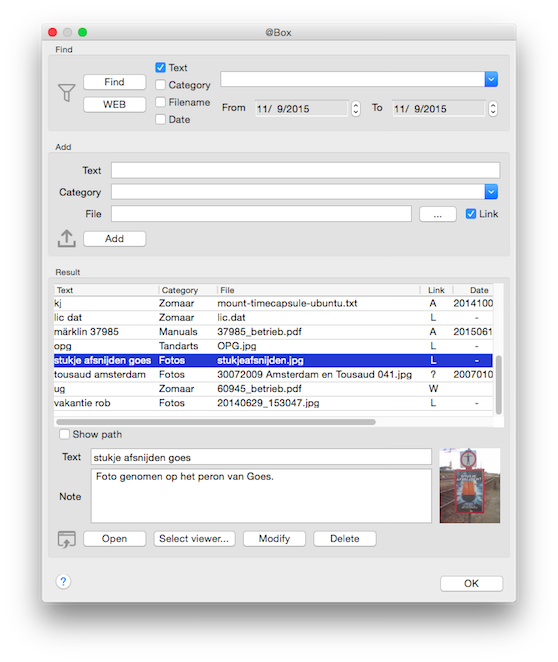 All fields must contain values to be able to upload a file. A double click on a file entry will open it with the default application. The result can be sorted by clicking on the column headers. Shows the complete path of the file. The preview thumbnail will be generated for all supported images types. This only works for links and already downloaded documents. Opens the selected file with the default application. If the system default application for this type of file is not wanted then another application can be selected for viewing the selected file extension. This will be saved in the rocview.ini and will be used for the Open commando. Default Apps under Linux are not really what normally is expected. These are individual settings for each Rocview client. 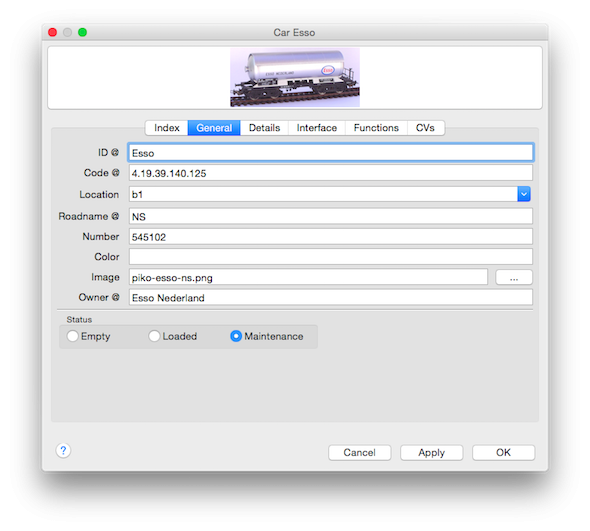 Modifies the text and note of the selected file. If the linked file no longer exist it will be signed as invalid.